1936 - 1944 -- Working at all kinds of jobs where I could find them, not an easy thing to do in the Great Depression. Some of them, according to a work journal I began in 1939, were: Shoveling snow; cutting grass, raking leaves, digging weeds, picking weeds, and other yard maintenance work; washing cars; inside household jobs; collecting and selling milk and pop bottles; collecting and selling old newspapers; selling Liberty magazines; washing windows; picking and selling cherries and plums and pears; picking crops, such as green beans; doing homework for classmates; school delivering hand bills; delivering, newspapers; matching pennies; offering to do anything for pay as the "owner" of "The Wonder Service"; removing wall paper, taking down awnings; putting up storm windows; cutting down trees; catching and selling fish; removing a mouse from a trap; squeezing oranges for a drive-in; digging potatoes; picking beans; casual work at Safeway; drug store clerk; maintenance work at a shoe store; operating machinery making airplane parts. 1946 - 1948 Austin, Texas, while attending the University of Texas: Digging ditches, assembling brochures, proof reader, assistant to an exterminator, janitor, house painter, reader to the blind, yard maintenance. 1954 -- Laborer at a tree nursery in Falls Church, Virginia. Salesman for American-German Chemicals, Incorporated, in preparation for position as Vice President for the Western half of the United States. In training in Washington, District of Columbia as a Pyrometallurgical Engineer for Magnaslag, Incorporated, as a Test supervisor for a project to extract manganese from steel slag. The project ended in failure when the person in charge of operations allowed the furnace at Coxton, Pennsylvania to freeze up. 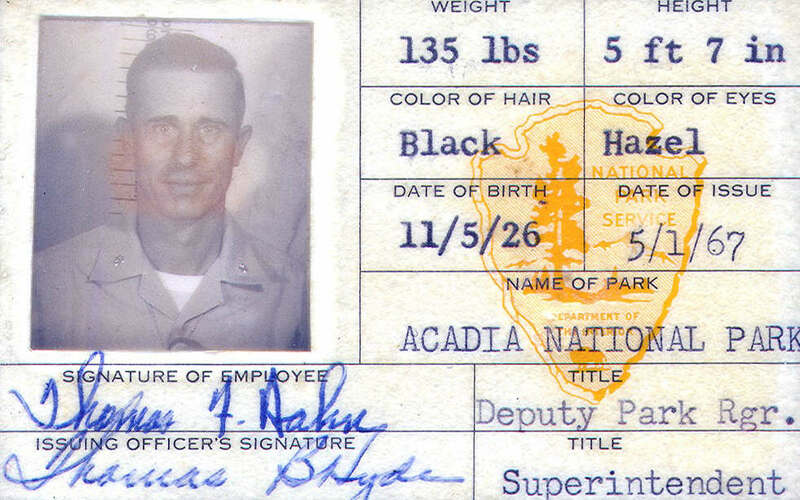 1954-1956 -- Telecommunication Specialist, Signal Corps Intelligence Agency/G2 (Intelligence) United States Army. Technical Writer. Wrote Telecommunication Studies for the National Intelligence Survey and Signal Technical Intelligence Studies. GS-9 and GS-11. Translator for Transworld Language Service, Washington, District of Columbia in Bulgarian, German, and Russian. 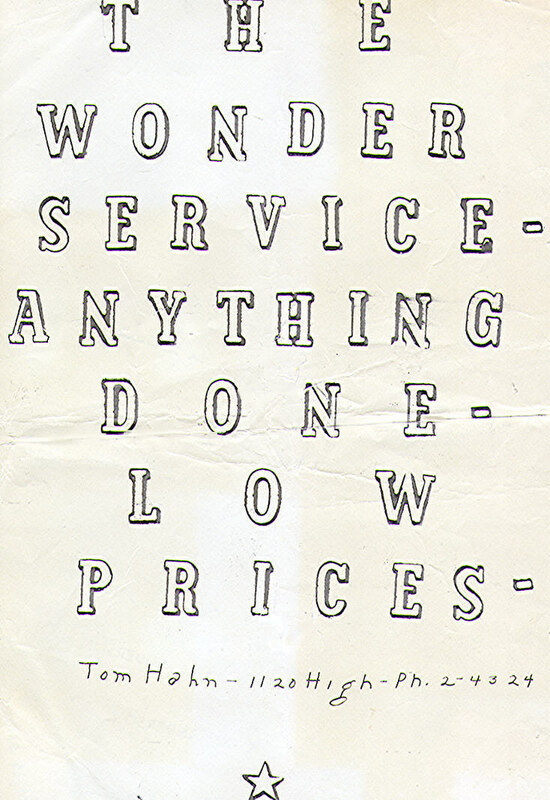 1972 -- On the Civil Service Register as a GS-15. 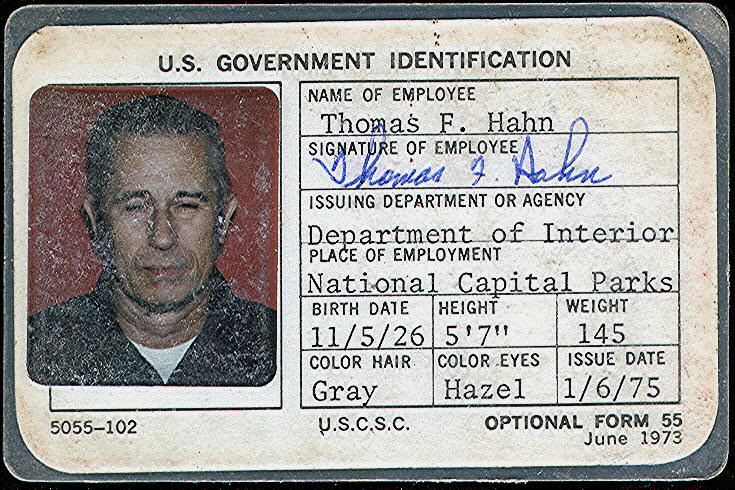 1972 -- Management Assistant, Assistant for Canals, George Washington Parkway, National Park Service, Washington, District of Columbia, GS-11. Chesapeake and Ohio Canal, Maryland and the Potomac Canal, Great Falls, Virginia. 1. 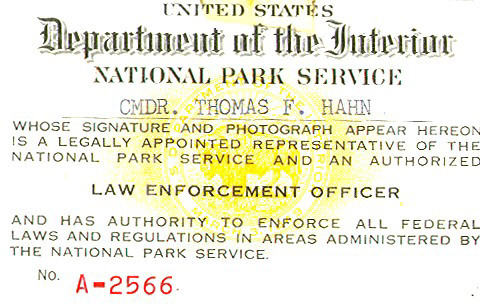 Introduction - This position is located in the office of the Superintendent of the George Washington Memorial Parkway. 2. 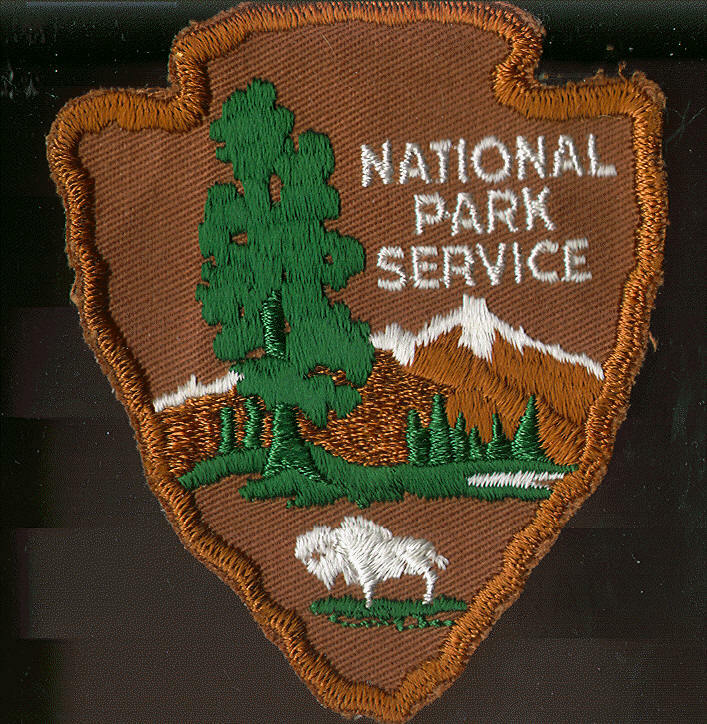 Duties - Incumbent will provide coordination between George Washington Parkway, National Capital Parks headquarters, and [Denver] Service Center representatives on rehabilitation of historic structures and repairs to the Chesapeake and Ohio Canal and towpath necessitated by the 1972 flood. Estimates of the flood damage of the canal in the section of the canal under the George Washington Memorial Parkway exceed $5 million and repairs are expected to be continuing for at least one year. He will represent the Superintendent in the extensive contacts with outside organizations and individuals with repairs to the Chesapeake and Ohio Canal through meetings, telephone calls, and correspondence. To the extent that the above priorities permit, the incumbent will also develop interpretive materials for signs, publications, and guided walks along the canal from Georgetown to Seneca. 3. Supervision - Incumbent is supervised directly by the Superintendent. He will also be guided by legislation, handbooks, and policies arising from the work of the Chesapeake and Ohio Canal National Historical Park Commission and the master plan study team. 4. Qualifications - Incumbent should be skilled in public relations and with the techniques of management budgeting. He should also be well versed in the history of the Chesapeake and Ohio Canal and knowledgeable about the techniques of construction, operation, and maintenance of canals. Tom Hahn's Office as Supervisory Ranger, Restored Chesapeake & Ohio Canal. In 1830, the C&O Canal Company built one hotel along the 185-mile-length of the canal, named the "Crommelin House." 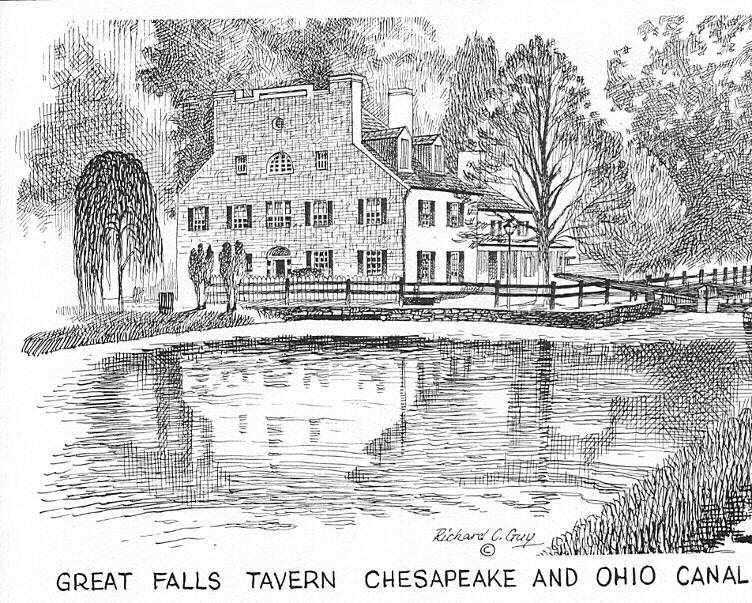 The hotel and tavern was located adjacent to the scenic and exciting Great Falls on the Potomac River. 1972-1995 -- Contractor/Consultant in Industrial Archaeology for such canals as the Illinois & Michigan Canal (Illinois), Blackstone Canal (Massachusetts), Industrial Canals at Patterson, New Jersey; Potomac Canal (Great Falls, Virginia), Susquehanna & Tidewater Canal (Havre de Grace, Maryland), etc. 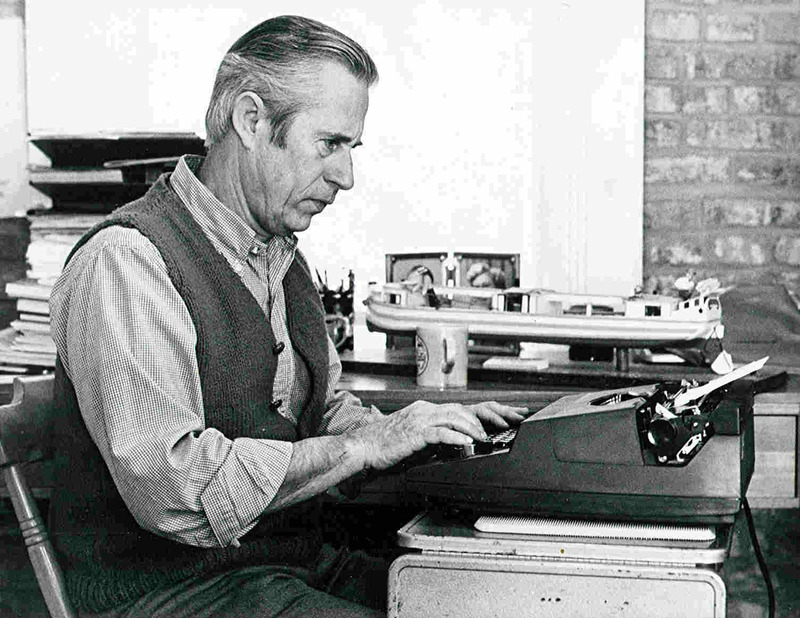 1972-1999 -- Author of books on historical transportation and industrial archaeology. 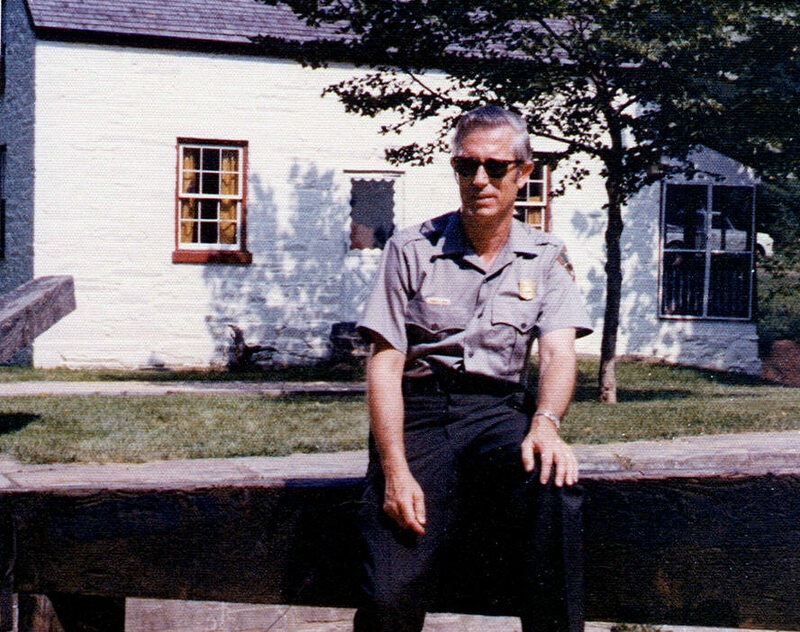 1973--Supervisory Ranger, Restored Section, Chesapeake & Ohio Canal, Great Falls, Maryland. 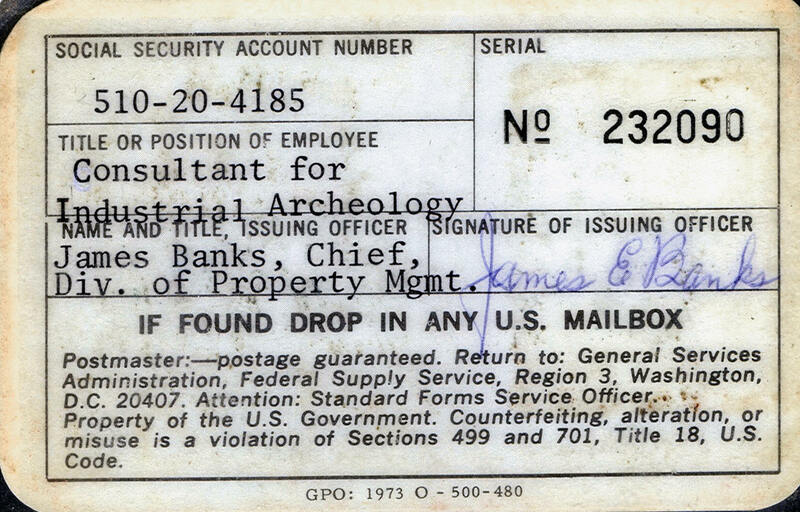 1973-1975 -- Contract Industrial Archaeologist for the Denver Service Center, National Park Service, Denver, Colorado. 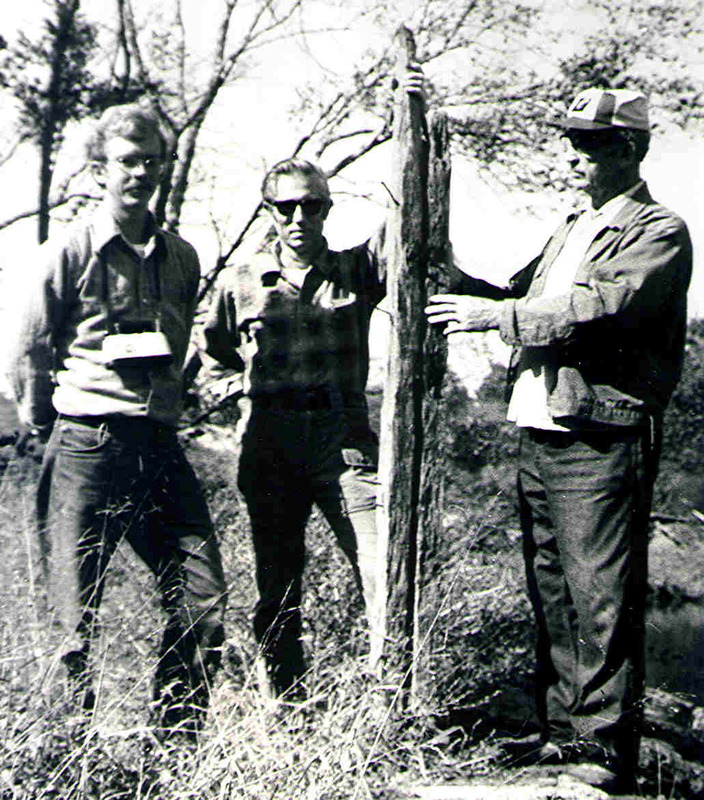 Joseph "Joe" R. Prentice and I were the two field archaeologist for the five-member Research Team created to study the Chesapeake and Ohio Canal after the major damage done by Tropical Storm Agnes in 1972. During this period, Joe and I completed an industrial archaeological study -- consisting of of a physical inventory of several hundred canal structures -- as contract archaeologists for the National Park Service, Denver Service Center. 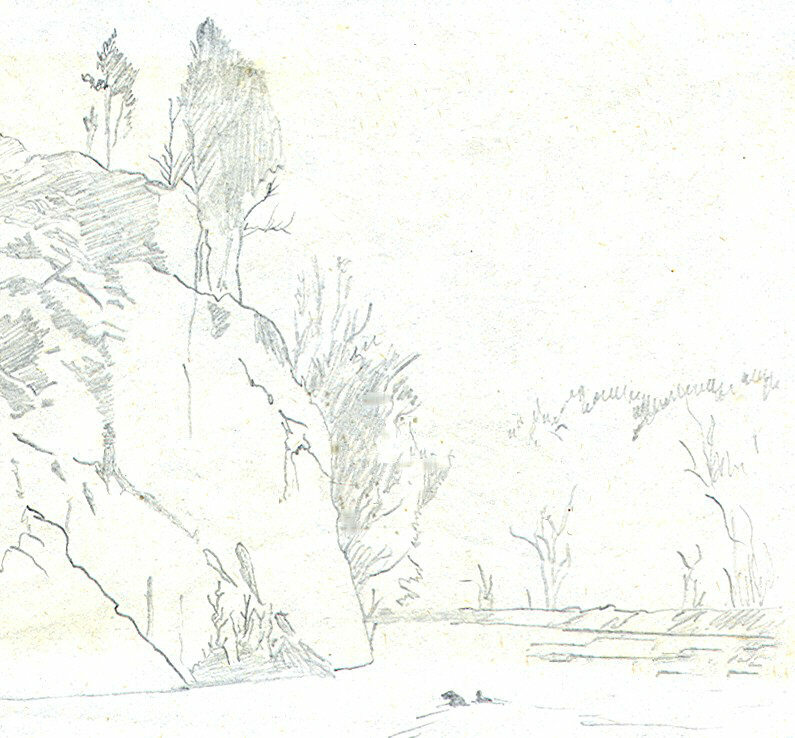 We also did a two=week study of the Potomac Canal at Great Falls, Virginia, in preparation for the American Bicentennial. 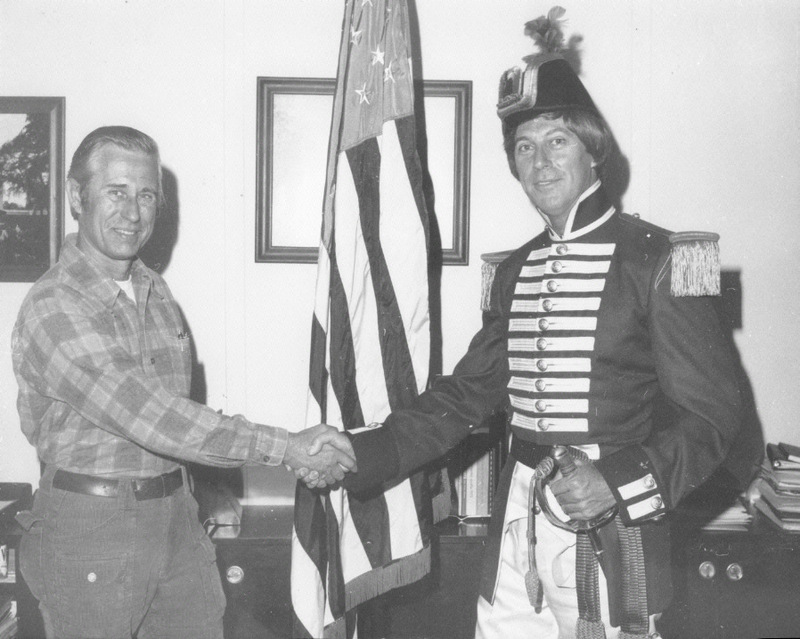 1976-1998 -- Owner, American Canal and Transportation Center, Historical Publisher. 1982 -- Research Assistant, History of Science and Technology, College of Arts and Sciences, West Virginia University, Morgantown, West Virginia. 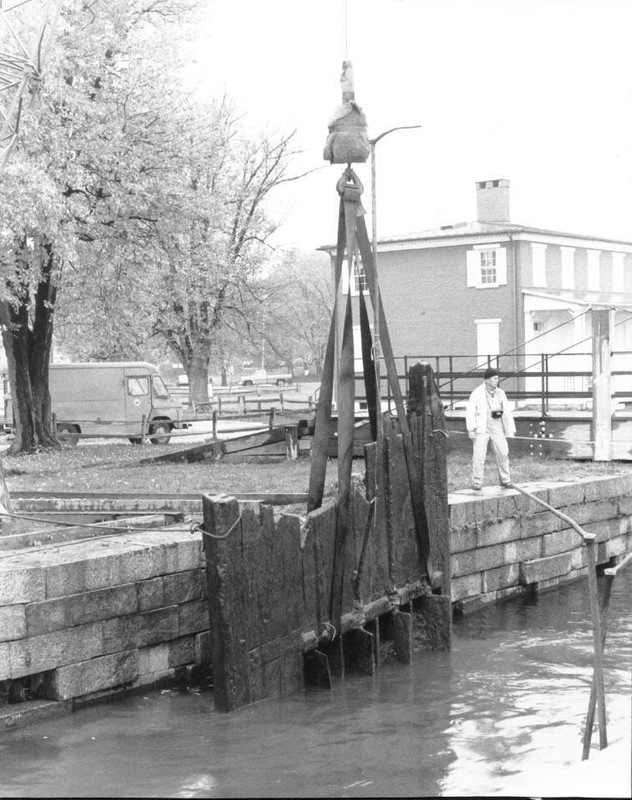 1982-- Contractor for the Maritime History of Alexandria (Virginia), Industrial Archaeologist, and Canal Engineer for the Alexandria Canal for Historic Alexandria, Virginia. 1983 --1984--Assistant Professor, History of Science and Technology, College of Arts and Sciences, West Virginia University, Morgantown, West Virginia. 1984 -- Director, "Working Places of the Past in The Eastern Panhandle," West Virginia Humanities Council. 1985 -- Contract Industrial Archaeologist for Savage-Fogarty Companies, Alexandria Canal, Virginia for the restoration of the Tide Lock of the Alexandria Canal and the History of the Alexandria Canal. This was the largest contract I undertook in my short career as a canal industrial archaeologist. 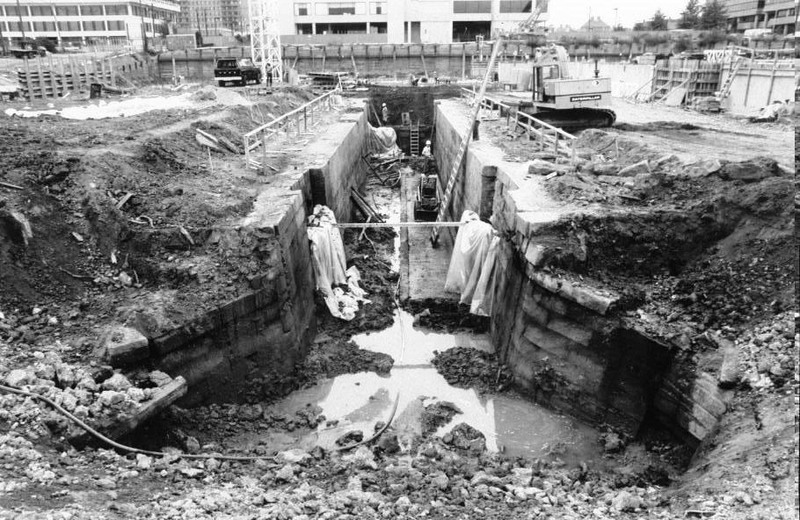 The first stage in 1982 was an exploratory excavation undertaken for "Historic Alexandria" in an attempt to locate the Tide Lock and Basin. In addition, I had a small contract to write a preliminary "Maritime History of Alexandria, Virginia, and a canal engineering contract to recommend what needed to be done for its rebuilding/preservation. 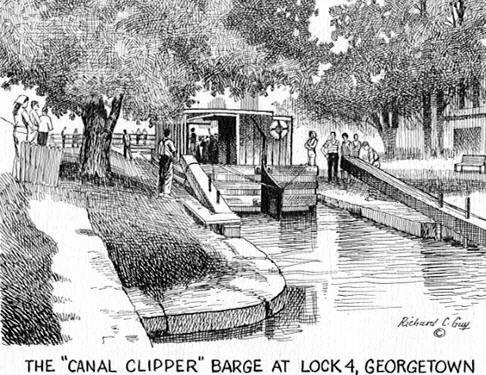 The second stage was in 1985 when we excavated the area and rebuilt the lock and basin. This was a part of the TransPotomac Canal Center Complex. The messy looking plastic was there to keep the wooden canal gates wet so as to help protect them until they could be reburied. I stayed at the Ramada Inn, shown in the background. I worked out of a trailer on the site. At one point, our work office/trailer the trailer was overturned and the contents vandalized, probably by union employees who resented the fact that we were not required to be union members because of our role in historic preservation. My field notes were taken or destroyed in that act of vandalism. The Potomac River at the beginning of the project was 180 feet to the east. At completion, the Tide Lock was at the river itself. The Institute for the History of Technology & Industrial Archaeology at West Virginia published the basic results of the project in the first of its Monograph Series: THE ALEXANDRIA CANAL: Its History & Preservation by Thomas Swiftwater Hahn & Emory L. Kemp, 1992. Dr. Kemp was my boss and the Director of the Institute. In addition to being an industrial archaeologist, Dr. Kemp had skills as a civil engineer that I lacked. 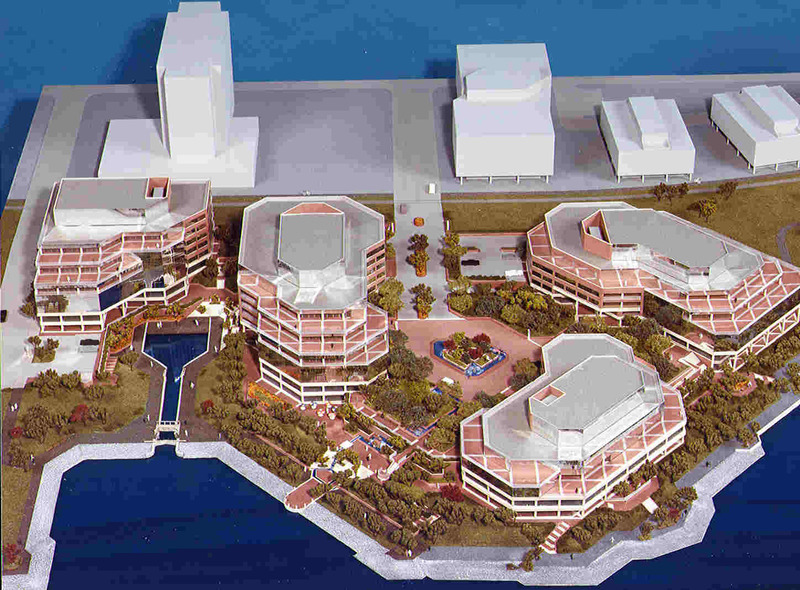 This is the Artist's Conception of the Completion of the Alexandra Canal, Tide Lock and Basin at the TransPotomac Canal Center. The Alexandria Maritime Museum (now defunct) was located on the ground floor of the building to the right of the lock. The white building to the left background is the Ramada Hotel where Emory Kemp and I stayed while working on the project. 1986-1991 -- Adjunct Assistant Professor, History of Science and Technology, Arts & Sciences. West Virginia University. 1992-1993 -- Adjunct Member, Institute for the History of Technology and Industrial Archaeology, West Virginia University. 1994-2004--Adjunct Professor, Institute for the History of Technology and Industrial Archaeology, West Virginia University. Translator for Transworld Language Service, Washington, District of Columbia in Bulgarian, German, and Russian.